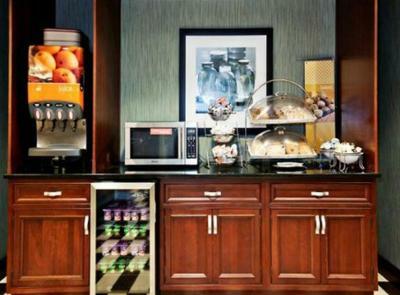 Lock in a great price for Hampton Inn Traverse City – rated 8 by recent guests! Great place to stay, very clean and comfortable and friendly staff! The staff was very friendly and quick to assist with any questions. Friendly staff and clean facility. Was very comfortable. Beautiful views of the bay!! Staff was friendly and helpful. Location was across the street from the water. Great views. Beds were comfortable. When I checked in the lady at the counter was rude! As if she had been busy all day and I was a bother. After being in my room for 30 minuets someone walked in on my family. Someone was given keys to our room as well. I was given information under my door for the person who walked in on my showing the hotel was comping them for the inconvenience. This to me was VERY alarming as I had all of their personal information. Which made me think, did they get mine? Address, phone, how they paid.. ect.. - this was my 1st time ever staying at a Hampton and I was so displeased. Located across from Grand Traverse Bay: beautiful; too bad the rooms do not face the Bay. Ground floor reception area, lobby, dining area were top notch, and up to Hampton standards. Rooms were clean. The entire stay was excellent. The staff were so outgoing and friendly and wanted to do everything to help you. I stayed in this hotel for an event and they made breakfast available an hour early - which meant 5AM. The rooms were very clean. Breakfast assortment of food was excellent! Great Free Breakfast. Lots of choices. Only challenge was seating but everyone found a seat. Very nice place to stay .. the view of the lake was great with the coffee .. the room was nice looking..
Hampton Inn Traverse City This rating is a reflection of how the property compares to the industry standard when it comes to price, facilities and services available. It's based on a self-evaluation by the property. Use this rating to help choose your stay! 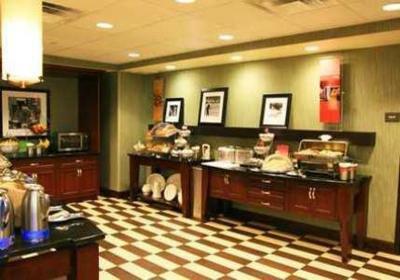 Across from the East Grand Traverse Bay and only minutes from the downtown area, this Traverse City, Michigan, hotel offers modern amenities as well as a free hot breakfast. After a restful night of sleep in the Hampton Inn Traverse City's signature Cloud Nine beds, guests can start the day with a cup of coffee from in-room coffeemakers. The hotel also offers a modern gym as well as an indoor swimming pool. Local area attractions, including Turtle Creek Casino and the Chateau Grandtraverse Winery can be found only a short drive from the Traverse City Hampton Inn. Sleeping Bear Dunes, beautiful beaches and local shopping centers are also easily accessible. When would you like to stay at Hampton Inn Traverse City? Cable TV is included in this room, along with a hairdryer and ironing facilities. The Hampton Inn by Hilton Traverse City sits close to the edge of the East Grand Traverse Bay. We are conveniently located to the airport, we offer complimentary transportation to and from, and also close to the Old Mission Peninsula where some of the areas most popular wineries can be found. Traverse City is also known as a foodie town. It had over 240 restaurants, bars and breweries. We look forward to your visit. House Rules Hampton Inn Traverse City takes special requests – add in the next step! Hampton Inn Traverse City accepts these cards and reserves the right to temporarily hold an amount prior to arrival. The room was a bit smaller than we had hoped for, no mini fridge or microwave. Worst bed I’ve slept on. WIFI was not cooperative. Had issues connecting and was unable to work from my room on business trip. Carpeting throughout the hotel and elevators, and walls outside of the rooms were well below Hampton standards. Layout of bathroom is below standards. No vanity to speak of in bathroom. Caulking around shower and bath enclosures was subpar. For the amount charged, ie. $175 per night including taxes; did not get the value for the money as we do when staying at other Hamptons throughout the Eastern United States. I was overcharged $100, if I didn’t check my emailed receipt, I would’ve never known. The maids were very loud on the 1st floor. Early in the morning waking us up. The front desk was great. Wish I had a better view of lake. Showers are small. No refrigerator in room. Breakfast was fine. Sleeping area was good.